The French Riviera: Driving Heaven? Click here for information on the French Riviera Mini Cooper Driving Adventure! From the celebrated corniche roads to the beautiful back country, the south of France offers intrepid drivers endless opportunities for motorized fun. The crew at BBC’s Top Gear already knows this. They began their search for the “World’s Best Driving Road” near Monaco on the renowned col de Turini. In Alfred Hitchcock’s glamorous 1953 film, To Catch A Thief, driving plays a pivotal role during chase scenes through the beautiful villages of the back country and on the dramatic moyenne corniche (with Grace Kelly behind the wheel no less). I recently posted tips for driving the celebrated, and often congested, corniche roads. I would now like to offer a few suggestions for those wishing to break free from the constraints of traffic by heading north into the vast arriere pays (back country). 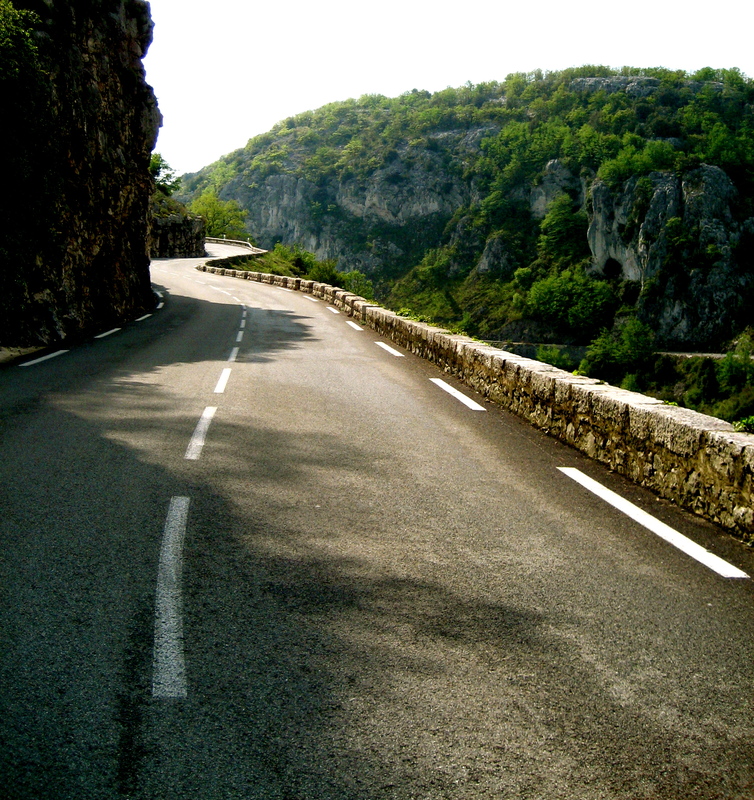 Begin your journey in the tiny hamlet of Pont du Loup and head west on D2210 in the direction of Le Bar sur Loup. Bar is a beautiful and uncrowded working class village that sits on the side of a hill overlooking the Loup Valley. Consider having lunch at the recently renovated L’Hostellerie du Chateau (the food is sublime) located in the town’s main square. You may also want to stop by the tourist office (just steps away from the Chateau) and make arrangements for a guided village walking tour. Pleasant, affordable accommodations and a good restaurant in the tiny town of Pont du Loup. Beautifully renovated 14th century chateau in the the main square of Le Bar sur Loup. Exquisite restaurant and 6 tastefully decorated rooms. “Exile on Main Street” was actually cut at four different studios, one of which was in the basement of Keith Richard’s rental house, Villa Nellcote, in the south of France. Recorded during the blistering summer of 1971 in Villefranche-sur-Mer, “Exile” is classic, down and dirty Stones. Just listen to “Ventilator Blues” or “Casino Boogie” and you can practically feel the sweat dripping off the walls. Today fans can find Villa Nellcote easily enough, but will have to settle for a photo by the front gate. It’s not possible to enter the grounds.